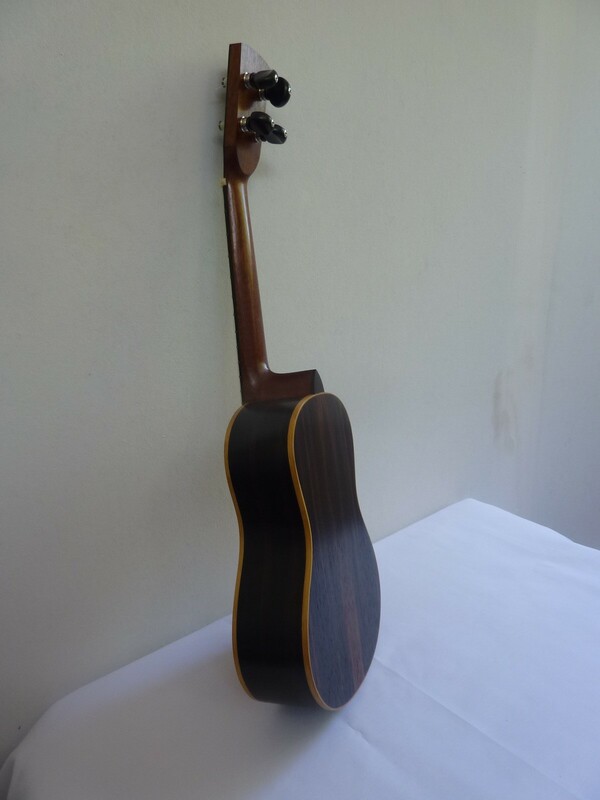 I have made Soprano Ukes out of a number of wood types and using a variety of top bracing patterns. 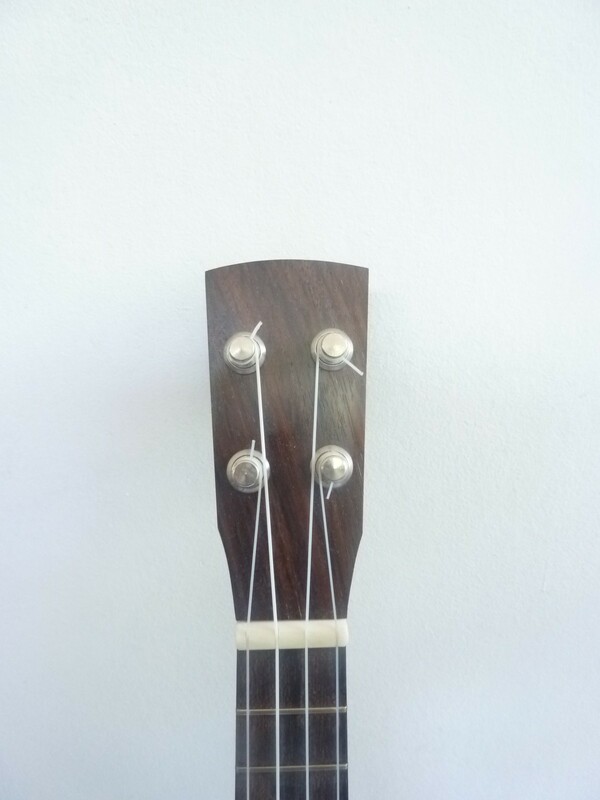 Each configuration produces subtle differences to how the ukulele will sound. 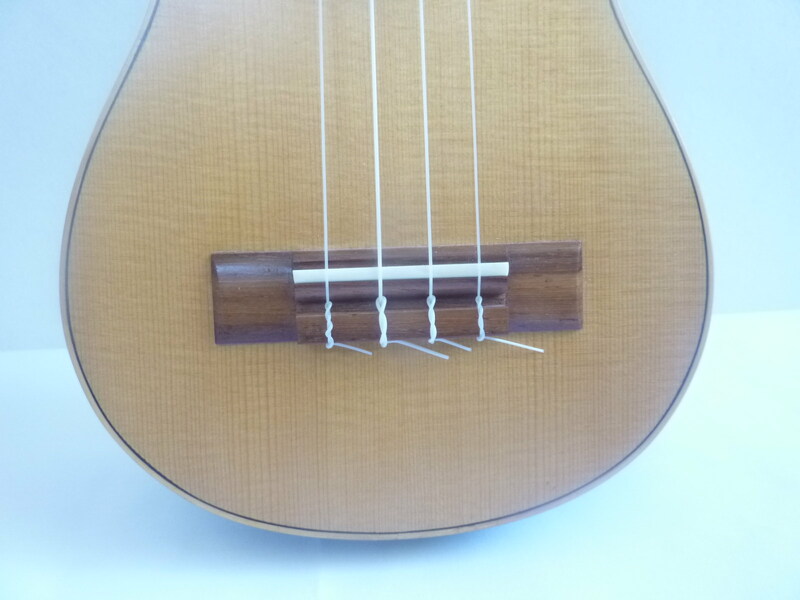 I now make ukuleles using a 3 fan strut bracing pattern, i have my established shape which i can reproduce using moulds. 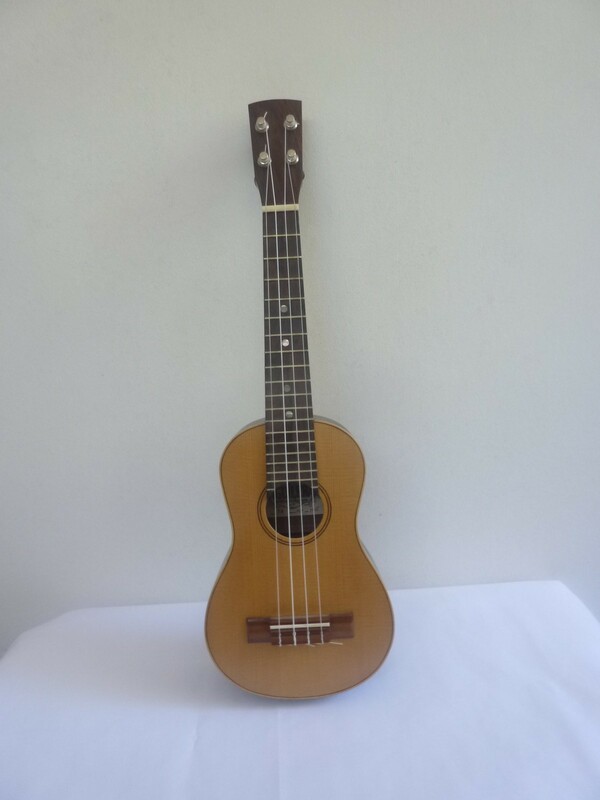 My ukuleles are full sounding bright and loud and surprisingly resonant for such a small instrument. They are comfortable to play with easy actions and I’m sure you will find a pleasure to own and play. 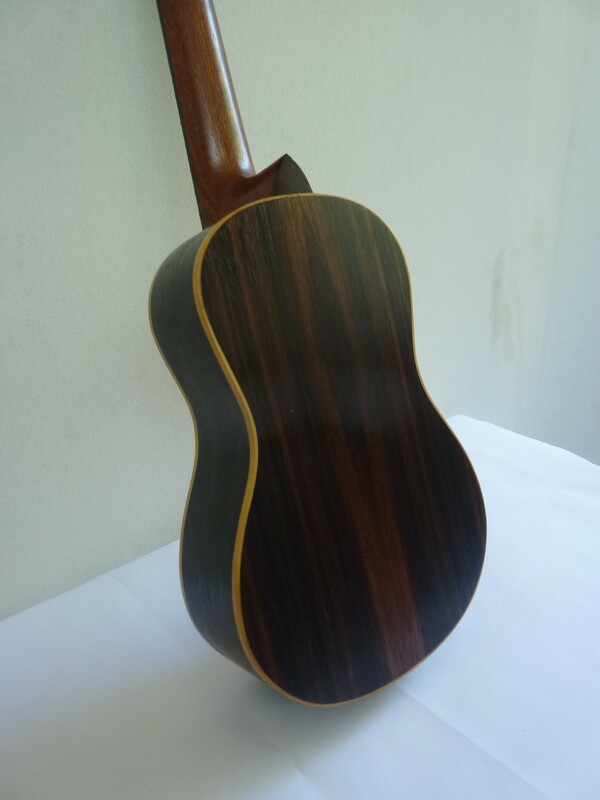 The one above is made using European Spruce for the top, macasar ebony for the back and sides and mahogany neck (recycled from an old door). 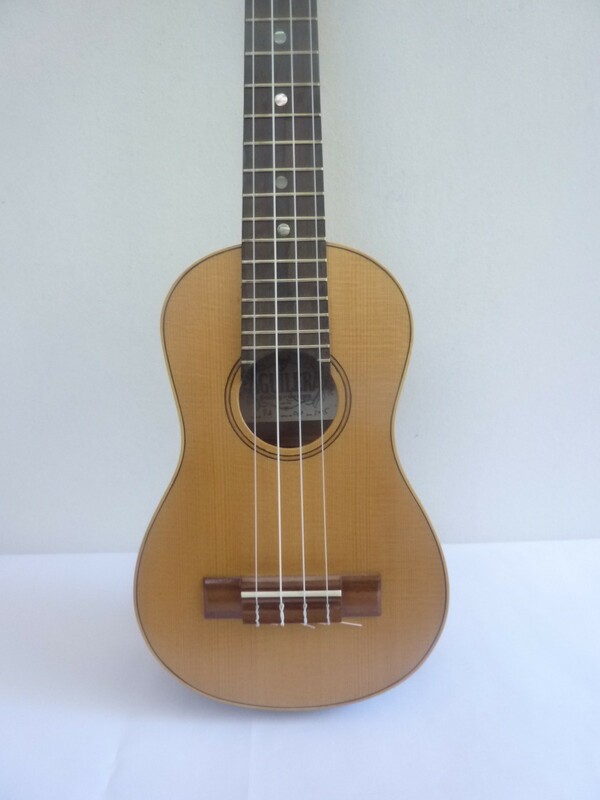 It has bamboo bindings worked particularly well and a Ziricote fretboard gives the Uke a striking appearance. The bridge is made from African Padauk and the friction pegs are high quality Grovers. It is finished in an oil finish for a simple durable finish. 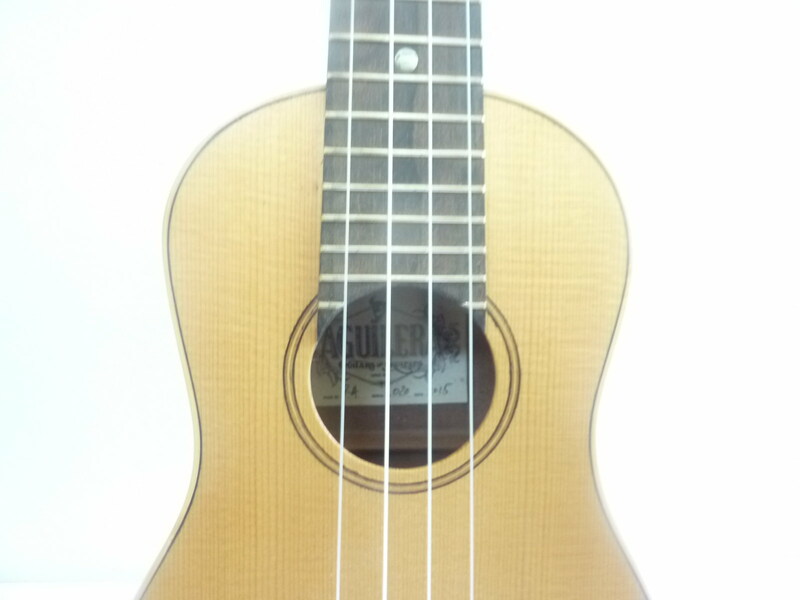 I exclusively use Aquila strings for all my ukuleles.